The North American Marine Environment Protection Association (NAMEPA) is a marine industry led non-profit with a mission to educate students, seafarers, and the public on the importance of marine environment conservation, and to inspire appreciation for the maritime industry. As a Lloyd’s List Environment Protection Winner, NAMEPA works to inspire others to Save Our Seas through education. To accomplish our mission we rely on our members, donors, and sponsors. This has enabled us to create a suite of educational programs designed to support efforts in the general public to reduce marine debris especially plastics, protect the marine environment, and promote workforce development for underserved communities. What it hasn’t done is allowed us to widely distribute our materials - to do this, we are establishing a NAMEPA Education Fund. Check out our 2018 Accomplishments video for a look at how we Save Our Seas. - Expand on NAMEPA's ability to print and distribute our educational materials to students and educators of all ages and diverse backgrounds throughout North America. Our resources are engaging, aligned with curriculum standards, are based off of STEM objectives, and are designed to inspire appreciation for the marine environment. - Incorporate train-the-trainer programs to aid educators who wish to add more hands-on STEM education to their classroom or organization. -Conduct experiential learning programs with schools, Boys and Girls Clubs, YMCA’s, and others related to the marine industry and marine sciences. -Increase NAMEPA's engagement with high school and college students across North America through the NAMEPA Chapter Program, currently we have 19 chapters. -Develop new educational resources related to the maritime industry and marine sciences such as educator guides, seafarer training programs, and informational flyers. -Enhance ocean literacy through annual student art contest, marine science research paper competition, and Adopt a Ship program. -Enable NAMEPA’s education team to participate in professional development programs and trainings, and facilitate travel to education programs to increase organizational capacity. -Fund resources to complete beach and marina cleanups, and to mobilize communities to reduce marine debris and engage in citizen science. NAMEPA is committed to education. We work to educate students of all ages and backgrounds on the necessary balance between the marine industry and conservation, and inspire students to use this knowledge to become better ocean stewards. We have developed and distributed three NGSS-aligned educator guides: “The Educator’s Guide to the Marine Environment”, “The Educator’s Guide to Marine Debris”, and “The Marine Industry Learning Guide” to provide formal and non-formal educators with the ideas and tools to engage students in effective STEM education. 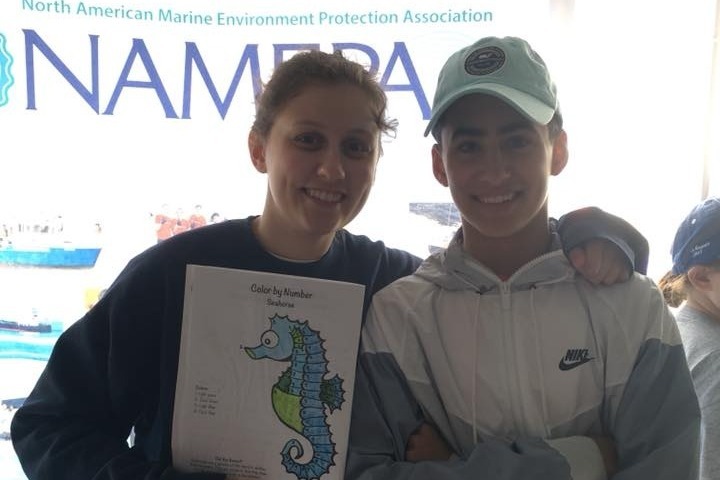 NAMEPA has also created a variety of informational flyers related to marine environment protection to be displayed in schools and other organizations and to be distributed at events. 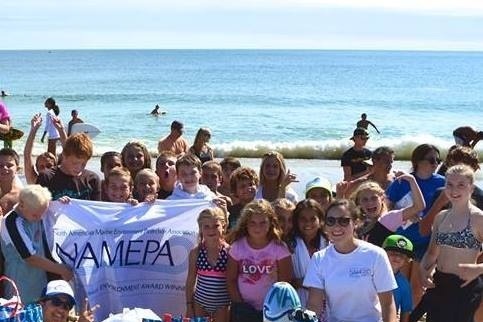 NAMEPA facilitates an annual art contest to allow students to creatively express themselves, a marine science call for papers competition, a high school and college chapter program, and beach and marina clean-ups to get youth involved in environmental conservation. NAMEPA has reached nearly 6 million students, it is exciting to contemplate how many more students we can reach with your help! NAMEPA is beyond grateful for donations of any value, every little bit makes a difference! Corporate sponsorship levels are $20,000, $10,000, $8,000, $4,000, and $1,000 with excellent sponsor benefits including organizational exposure, logo and write-ups in our resources, and more. For more information on corporate sponsorships please email Nina, Education and Outreach Manager. Thank you for considering NAMEPA for a charitable donation or sponsorship. We appreciate your consideration and support so we can continue to carry out our mission and promote ocean literacy to Save Our Seas. Our resources made a splash at the Volvo Ocean Race! 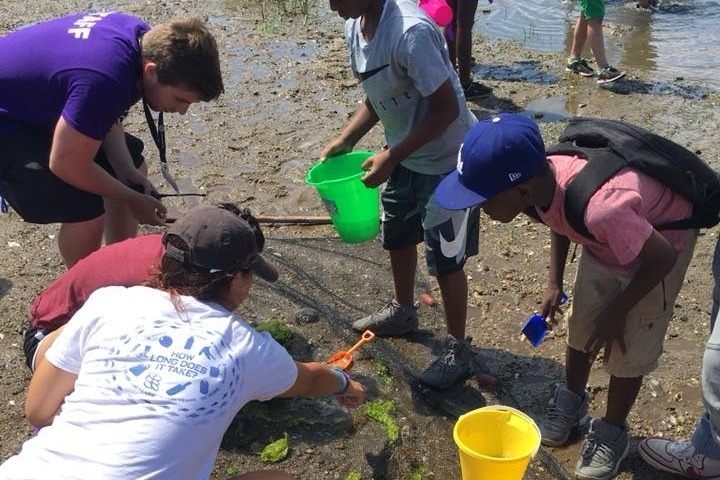 Campers with the Boys and Girls Club got up close and personal with marine life this summer! 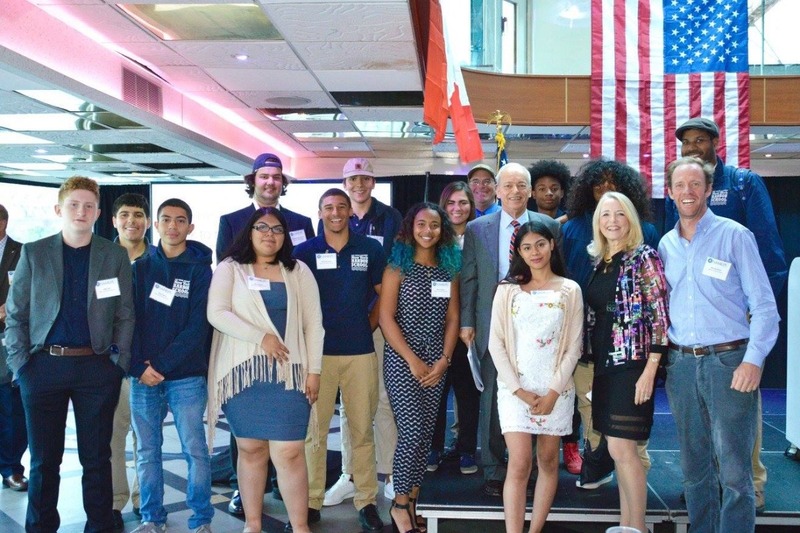 Students from the NY Harbor School were invited to NAMEPA's Annual Conference and Awards Dinner to network with industry professionals!